New Delhi: It may not be rocket science but what makes 22-year-old Suraj Kumar Jana’s innovative satellite different is the thought behind it. This boy from Bengaluru was driven by a thought, ‘Make an innovation that safeguards the environment.’ Suraj Kumar Jana started his journey in the world of innovations back in 2014 while he was graduating from B. M. S. Institute of Technology in Bengaluru. Today, he is the founder of OpenCube Labs and runs a team of 5 members, who all work together on small-scale research and development programmes that promote Space Research and Technology Development with a motive to conserve the environment. Brought up in Bengaluru, I have seen the lakes of the city turn into a huge mess. Coming from an engineering background I was always motivated to work on innovations. I thought why don’t I build something that will be an innovation and will save these precious little things for the planet. That’s how my journey into innovations began, said Suraj Kumar Jana. Till now Suraj Kumar Jana has worked on many projects but all have one thing in common and that these use waste items. The idea of working with waste came to him simply because it was out there everywhere in front of him and working with waste products was inexpensive. In our country quality of research is decreasing simply because research and making technologies require a lot of money. When I started on the road to innovation, my idea was simple, use whatever is there and make something that will help conserve the environment. There is so much waste in our country and something should be done with that, added Suraj. 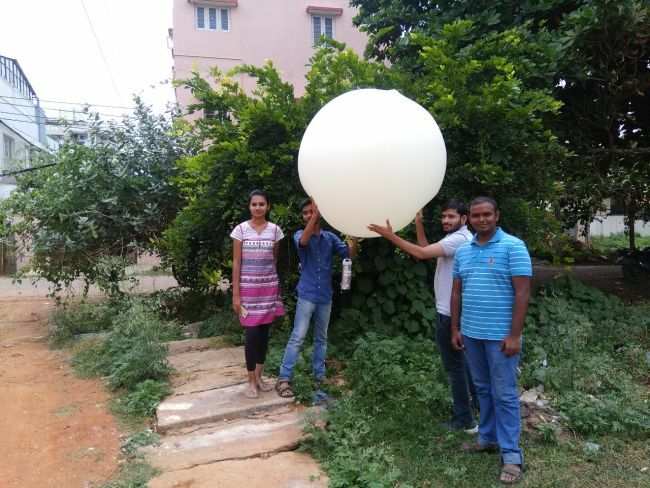 From a technology that helps in checking pollution levels in Bengaluru lakes which is made using beer, soda or other beverage cans, satellites that are made out of cans and drones which are made using straws and cardboards, this waste warrior makes it all. 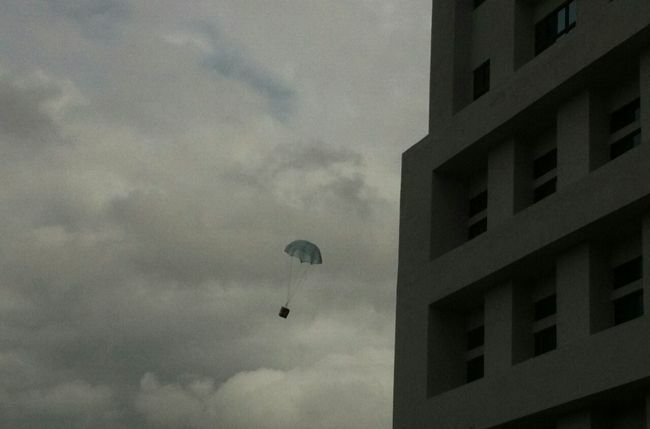 The satellite prototype was launched recently under the name of CanSat. Suraj Kumar Jana has been running the CanSat Development Programme from last 2 years and recently the prototype innovation was launched for the world to see. It was launched from the Air Force base at Yelahanka. What’s The Satellite All About? CanSat is like a sounding rocket balloon payload which is built on open hardware like Arduino, RaspberryPi. The catch is that the entire satellite components are assembled inside a 350ml soda can. Yes, that’s true! The satellite helps in capturing data like pollution levels, temperature and pollution levels, quality of air and water, ultra-violet penetration and traffic congestion levels in the city. Explaining his creations, Suraj adds, I want to reduce carbon footprint in the environment and save the planet in some way or another. My project CanSat is one such thing, with this project, I want to tell each and every one out there who has an urge to make an innovation or bring a change in the environment – working with trash items is possible and it is no rocket science. We hold lot of weekly workshops where we educate the students about using trash or waste items in their innovations – you may not know who will make what tomorrow. Currently I am working on drones project that I will be making using straws and cardboards. It will be launched next month. The waste warrior is also working on the concept of hydroponics which is basically growing plants and flowers in one’s balcony or terraces without soil. Along with this, he is working on an open waste management system for the apartments so that people can themselves manage their waste and convert it into manure easily. 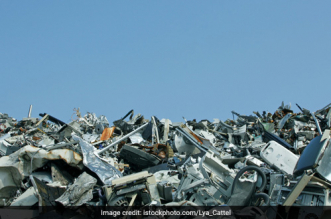 With innovations like these, this boy from Bengaluru puts an end to the notion that trash is worthless and can only be discarded. the banglore peoples have different mind set to improve their skills. Main point is different mind sets and they perform different activities. But in benguluru’s people have not interested in any one’s life what he doing it. Benguluru’s people are having provide great efforts for their nation. India peoples have always respect the others. The Bengaluru boys are effortless they can do a lot for this country. India has great talent. We should respect the efforts and encourage them to do more.